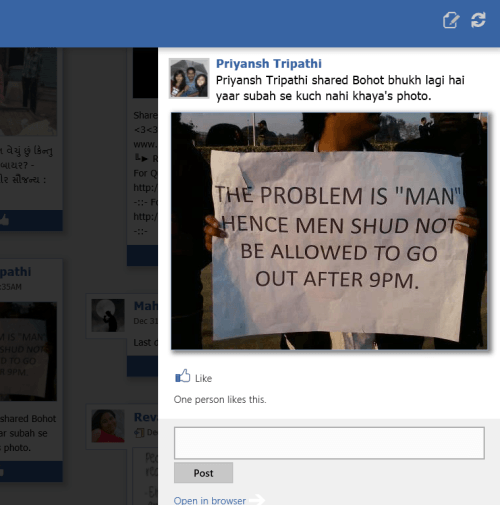 Feed For Facebook is a Windows 8 Facebook client app for browsing content from your feed. 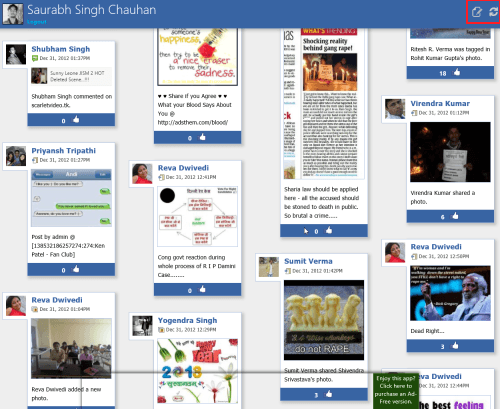 This free Facebook client Windows 8 app can be easily located in Windows Store under ‘Social’ section. The Facebook client app for Windows 8 utilizes a totally different interface for displaying the social activity with option to like, comment, and share. The app is still in beta stage and comes with promise of more goodies in future. On launching app for the firsts time you will be shown the login form for entering your Facebook credentials. After login, you will be prompted to authorize Feed for Facebook app to access your information and to post on your behalf. Only, after granting the permissions being requested, you will be able to use Windows 8 Feed for Facebook App. Once you are done with that a new interface will load with entries form your Facebook feed. On the top-right corner of the interface exists the button to update your Facebook status. Click on it , and a panel will pop-up in on the screen. 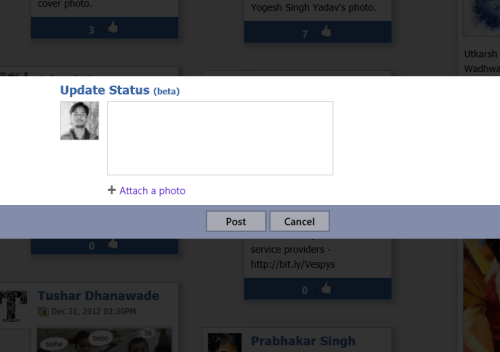 Now, type your status and click on ‘Post’ button. * You can simply press the ‘Refresh’ button adjacent to ‘Post’ for viewing latest feeds. Also, check out our posts on Share Photo to Facebook, Facebook Touch, and Chat Apps. Open this link in Internet explorer 10 or later followed by a click on ‘View in Windows Store’ button. Then on overview page click on ‘Install’ button. * The application is less than 700 kb in size and requires access to your internet connection. The limitation of Feed for Facebook Windows 8 app is that it does not allows you to view your Facebook Wall and Profile. Still, you will be able to update your stay. Windows 8 Feed for Facebook app is quite nice despite of a few minor glitches.